The Road Ranger Blog: Beat the Heat. The last two weekends have been very hot. 30 degrees and above. So I've done a 300km cruise on the bike each weekend to beat the heat. Unfortunately the need to wear safety gear makes it futile. Last weekend, Mary came too and we needed to stop to cool down at about the 200km mark. 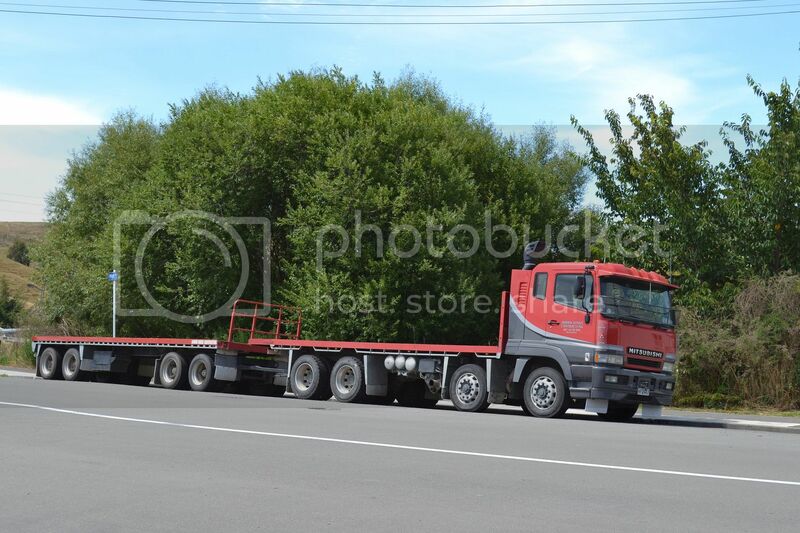 Conveniently I found some shade right outside Buckeridge Transport's depot in Dannevirke. 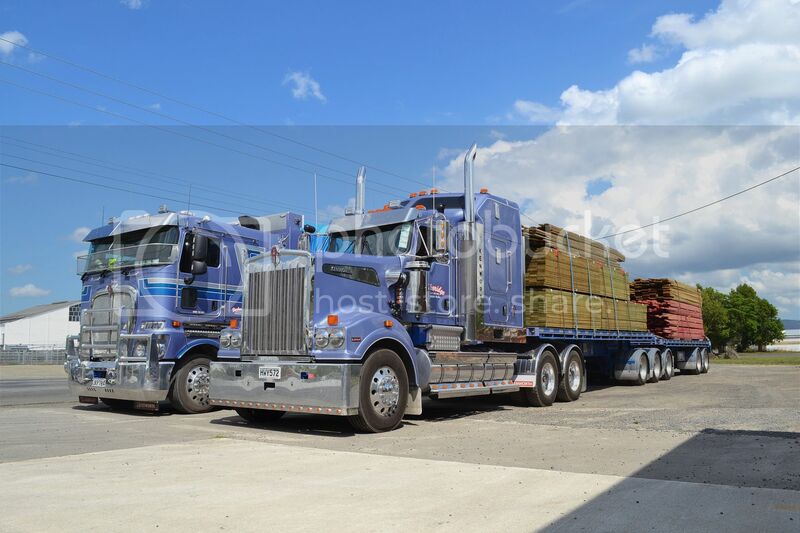 Buckeridge's had two of their 2015 model Kenworths parked on the roadside.. A K200 and a T909. 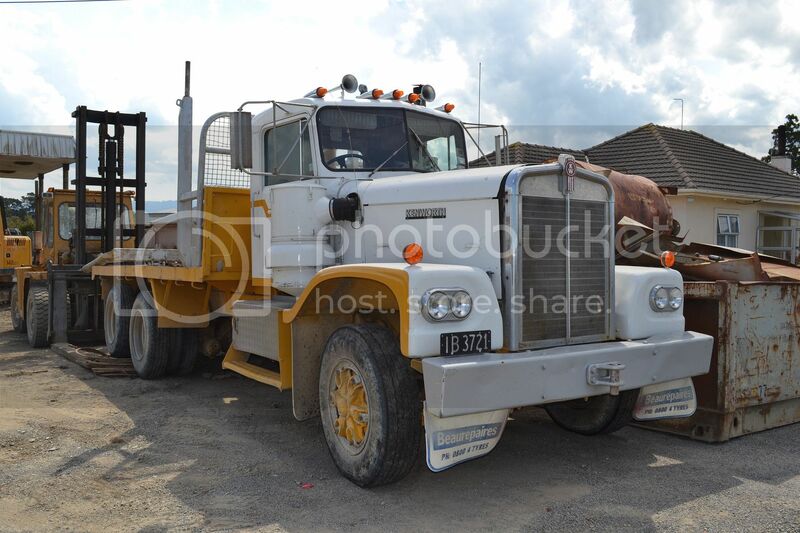 Just along from Buckeridge's was this old 1976 LW924 Kenworth. 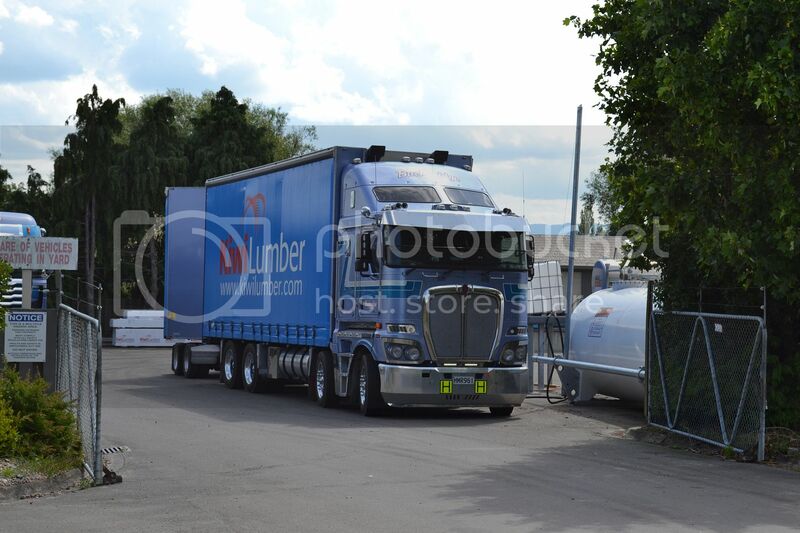 In Buckeridge's yard another K200 fuels up ready to head out. 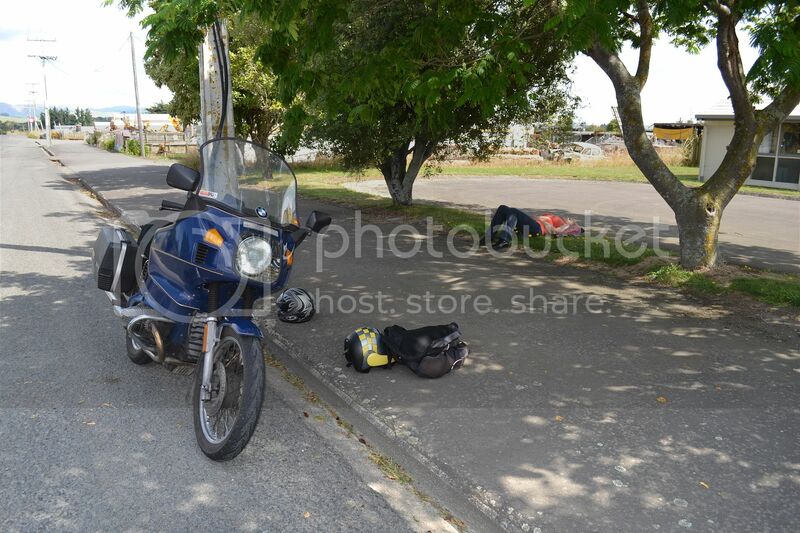 This weekend I rode alone and ventured into the Manawatu and Rangitikei districts. 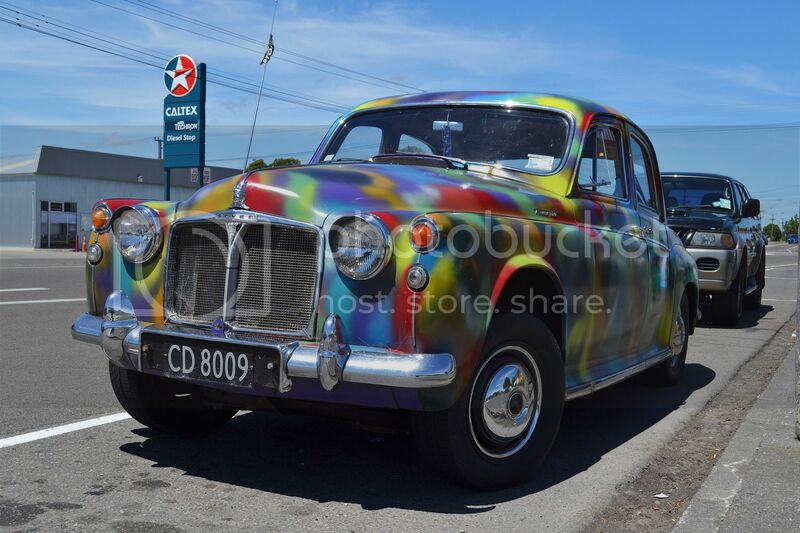 On the side of the road in Sanson was this brightly coloured Rover 100 from 1961. 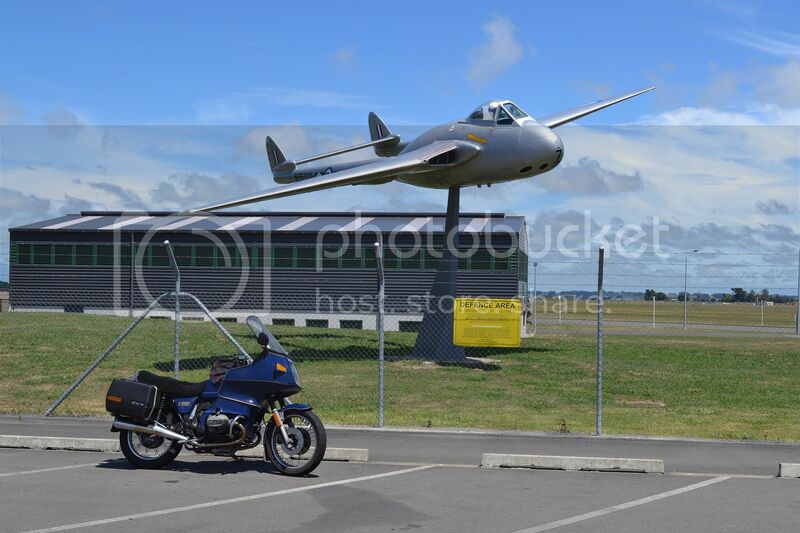 At Ohakea Air Force Base I stopped to snap the DH Vampire on static display. I'm always surprised by how small they are. 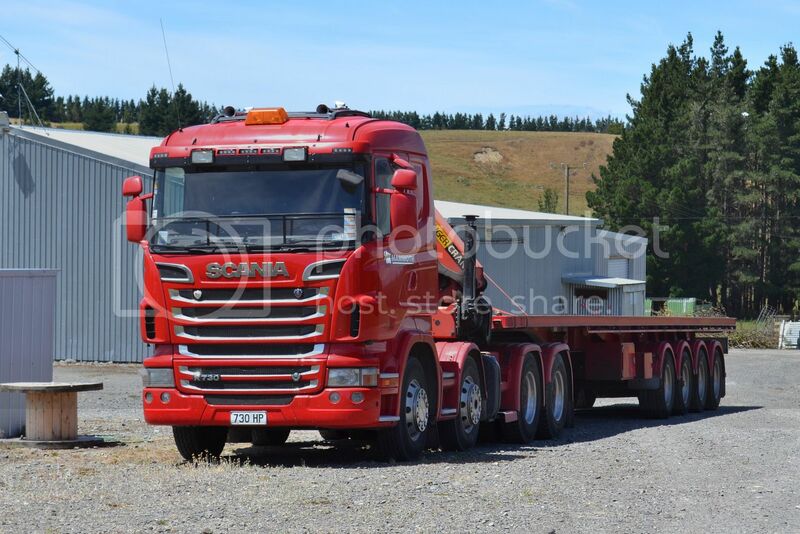 On a side road near Hunterville I spied this R730 Scania, with appropriate rego plate. In Hunterville, this 2002 Mitsubishi Shogun was resting. 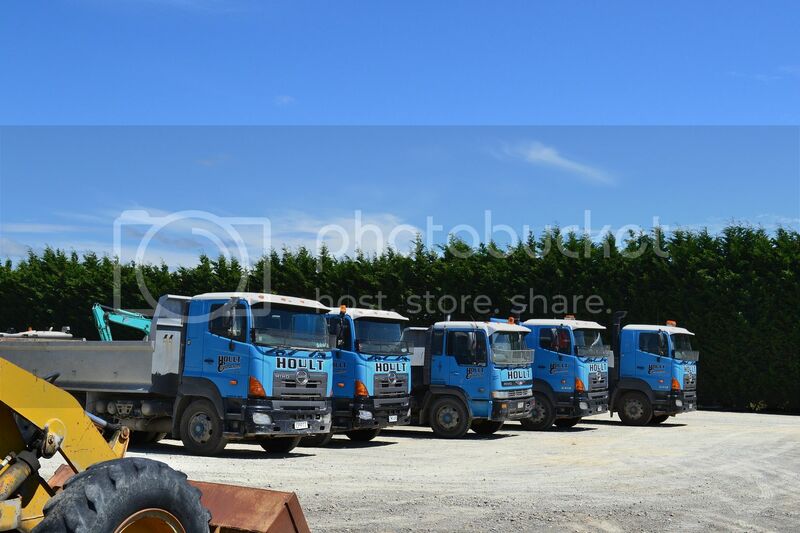 Of course NZ Mitsubishi trucks all wear the Fuso badge these days. 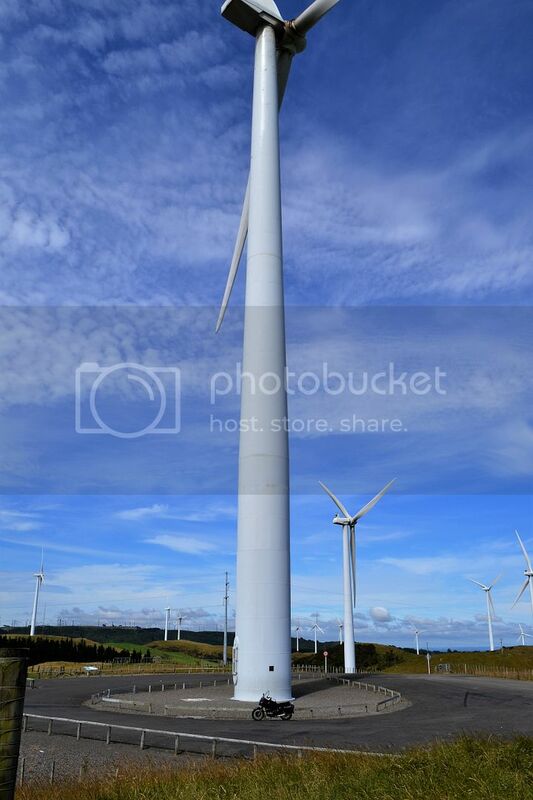 It's impossible to get back far enough to fit in the whole windmill, at the only one that I can park my bike at the base of at the Te Apiti windfarm. 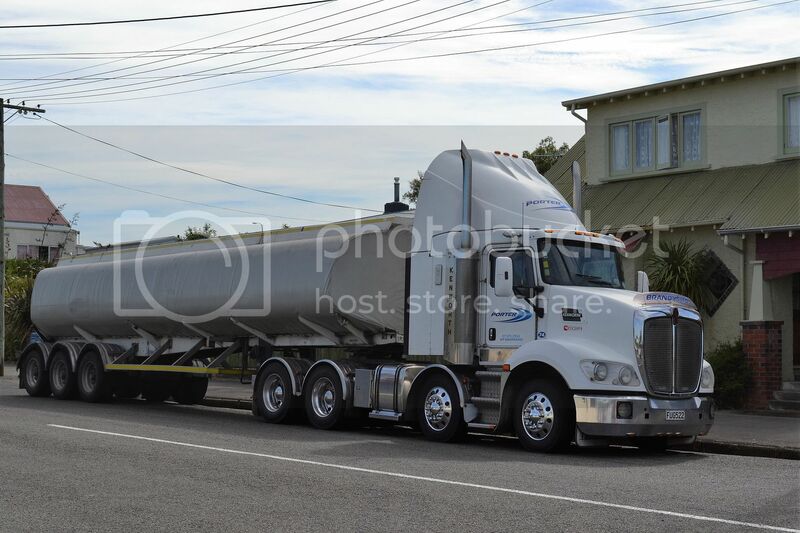 KW tanker parked up in Woodville. 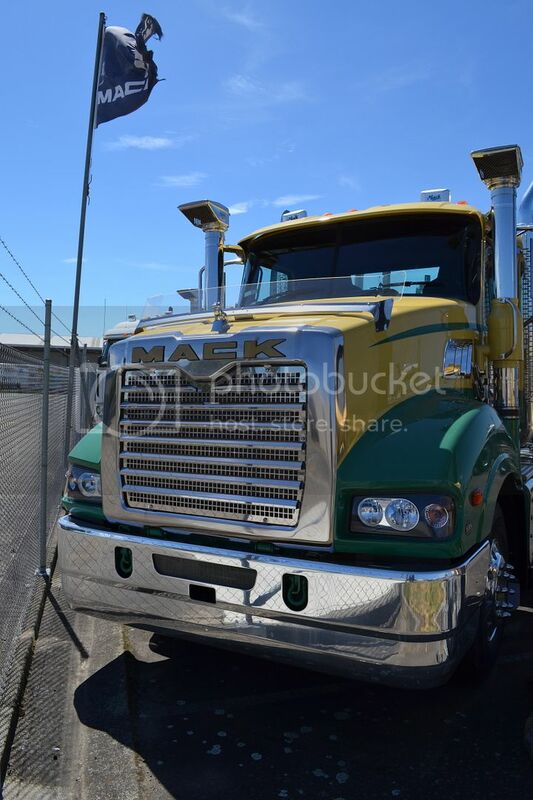 New Mack being prepared for delivery in MTD yard in Palmerston North. 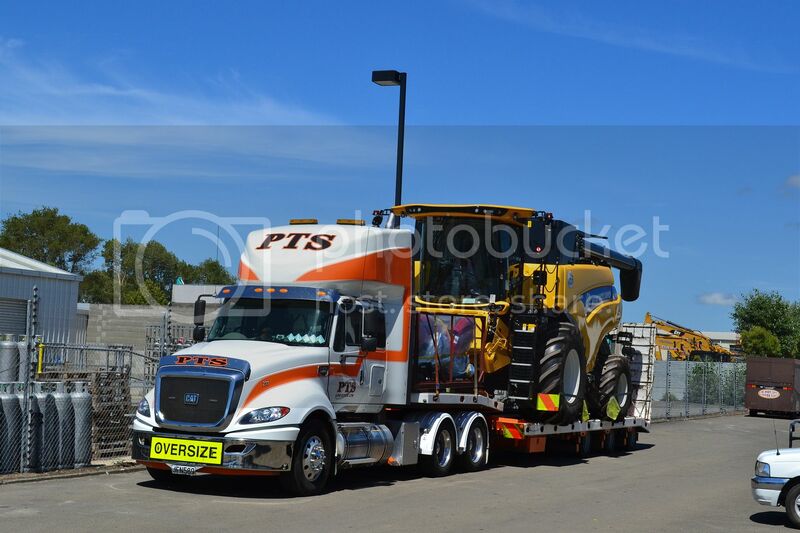 PTS Cat in their yard in Palmerston North with a load to set off with on Tuesday morning.